Once Nara combines her prophetic ability with Ethan’s power to outsmart Fate at his own deadly cat-and-mouse game, she’s more determined than ever to help Ethan learn the meaning behind the raven sword tattoo that suddenly appeared on his back after their confrontation with Fate. The Review: You all know how much I loved P.T Michelle's first book 'A Brightest Kind of Darkness' so I've been waiting impatiently for the release of Lucid, I needed to be back in this amazing world that P.T has created and I needed to be back with these fantastic characters. And what I got from Lucid was a whole load of awesomeness and more! 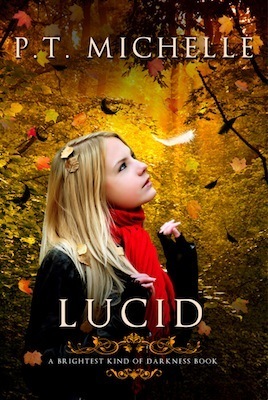 In Lucid, we see's Nara seek out answer's to all the mysterious questions surrounding her, Ethan and the Ravens, but while she seeking the questions, Nara is in more danger than ever........ Can Nara survive the danger's of her life? Or will Fate get what he wants? Lucid was a fantastic sequel. It was fast paced, exciting and dangerous, one that was full of twists and turns and P.T doesn't make this book predictable. I honestly didn't know what was coming next and the twists that she does throw in are completely amazing. I loved that we saw Nara stepping out on her own to find out the answers and I loved that she was so determined. She finds out so many answers but they lead to so many more questions, and I need to know what will happen next. She also grows a lot through this book and I felt a lot of that was down to Ethan not being there. He is away for most of 80% of the book and even though there are a few phone calls, they don't talk all that much. I missed his presence but when he came back, he completely consumed me and I just melt. I adore all the moments with Ethan in and I'm dying to find out the answer's and mysteries that are surrounding him. We also see a new character named Drystan who is introduced. He has secrets of his own, and it was great to unravel him but I was glad he was just a friend to Nara. All in all, Lucid is a heart-pounding and consuming read, one that any paranormal fan should pick up. I cannot wait for book three because I am dying to see how it all ends! A big thank you to P.T Michelle for giving me the opportunity to review this book and also a huge thank you her editor who used my quote on the back of BKoD book! Welcome to Book Passion for Life's 53rd US vs UK book cover battle. Jess says: I've recently read this book. And I prefer the US just because it's focused on Hadley and Oliver in the airport that's blurred, it fits perfectly with the story itself. I love it, so definitely US for me. Donna says: I really like both of these covers but I have to say I prefer the UK cover. It looks so much fun and I love how the writing is done by the plane. Jess says: Oooooh not heard of this book before, but I love both of these covers. BUT if I'm going to choose I would pick the US, it's just soo kool! Donna says: US! US! US! There's no choice for me, the US one is stunning. I love the colours, I love the floor, I love how it looks like a dome and the people are there. The UK one is really bright and colourful but it's so boring compared to the US one. Okay guys, this weeks US vs UK goes to..........US! "Who would have guessed that four minutes could change everything?" This was a lovely little read. I was looking forward to reading it and I wasn't disappointed. It's set over 24 hours where Hadley misses her flight to London by 4 minutes. Who knew that 4 minutes could change everything. She eventually meets Oliver who's on her next flight out. The chemistry between these two is wonderful, they both manage to bounce of one another. 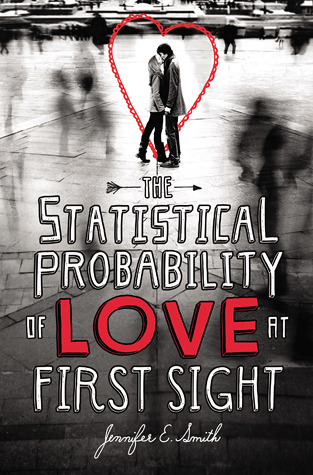 If you believe in love at first sight then this is pretty much a good book for you to read. It's well paced, focusing on the growing fondness between Hadley and Oliver. I basically couldn't put it down. Oliver is pretty awesome, although he isn't dreadfully swoony like most YA boys he does leave something in you and he's British for the American readers, this is always a plus I believe :). There were a lot of moments that made me gasp, and a few moments that had me in tears, you learn more about Hadley and her relationship with her father as the story moves on, but it doesn't take away the focus of her thoughts about Oliver. Some of my favourite moments were on the plane between these two, and then again when they encounter each other again in London. If you're looking for something fresh and new, with a pretty little story then I would definitely recommend you pick up this book. It is the first book I've read my Jennifer E Smith, but it won't be the last. I will most definitely pick up more of her books. Until the day I met John Smith, Number Four, I'd been on the run alone, hiding and fighting to stay alive. Together, we are much more powerful. But it could only last so long before we had to separate to find the others. . . . But so are they. They caught Number One in Malaysia. Number Two in England. And Number Three in Kenya. They caught me in New York--but I escaped. I am Number Six. They want to finish what they started. But they'll have to fight us first. The Review: This is the third book in the Lorien Legacies series by author Pittacus Lore and wow, what a series it is. It’s full of heart-pounding, exhilarating and explosive scenes, ones that are very imaginable and full of lovable characters. I adore everything about this series and The Rise of Nine just proves that there is still so much more awesomeness to come and I can’t wait. 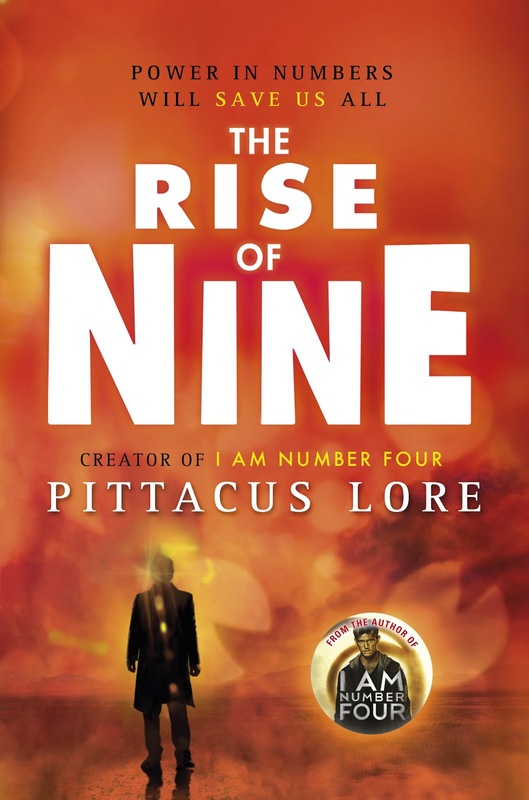 The Rise of Nine is told in three points of views, Four, Six and Seven so not only do we get inside one or two heads of the characters but three, and yes it was fantastic. We see Four recovering from his time with the Mogadorian’s and he has the help of Nine. Their in hiding, laying low and trying to figure out what the rest of their items are in their chests, but soon someone is hot on their trails. Six and Seven are with Ten and Clayton where they are travelling to India to try and find another Lorien member; Eight. However that proves to be difficult when he’s hidden away in the mountains and they have to fight an army to get to him. And we also see the arrival of the Mogadorian’s leader who really is a scary as they say and if they want to defeat the Mogadorians, then then all need to stick together. Another great book to a fantastic series! The Rise of Nine is dangerous, addictive, captivating and one hell of a ride. 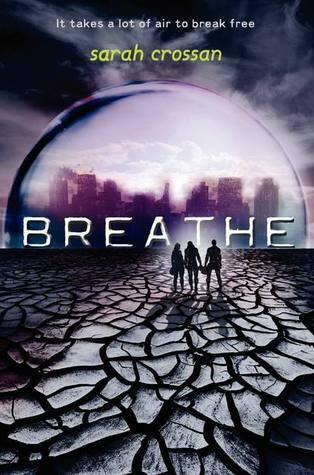 I can’t describe how much I enjoy this series and Pittacus Lore continues to throw so many amazing curveballs into the story that it really keeps you on you’re toes. I loved the story from Six and Seven’s point of view, maybe because they had a more enjoyable and harder journey than Four and Eight's. Six, Seven & Ten have a fantastic relationship together and I really like seeing them getting to know each other. I like Four aka John but I found he mopped around a lot over Sarah and Sam – who are pretty much MIA during this book, and then he was bickering with Nine a lot too. Their story in this book took me away from the Six and Seven’s and I didn’t enjoy it as much as I would hence my four star rating. Seven aka Marina was definitely my favourite character this time around. She really comes into her own person, instead of hiding away like she’s done all the years. She takes risks and defends the other members of the Guard. She really grows because she’s quite shy and hasn’t got much confidence in herself, so by the end of the book, it was nice to see a stronger Marina. I adored the moments when all the characters got together and this is where I have hopes for book 4 that they won’t spilt up again. What I enjoyed most about this book was seeing all the guard member’s powers in full force. Especially Eight, Nine and Seven whose we’ve not really seen before. Even Four has some new stuff to show us, so there’s always something exciting and new coming from these characters. I can’t wait for book 4 now. I just want to be in this amazing world again, with these characters and see them find the rest of the members of the guard. I want them to defeat the Mogadorian’s leader and I want them to find a way home and start making little alien babies. I know there is another 3 books still but I have hopes that we will see them make it to Lorien. There are also still so many answers I want to know though. Will they ever get home? Can humans like Sam and Sarah go with them? Will they find their ships? There’s a ton! And I can't wait to find out. All in all, this series is a perfect sci-fi series that really has won me over that sci-fi books are just as good as paranormal ones. Definitely my favourite sci-fi series ever and definitely one you don’t want to miss out on. 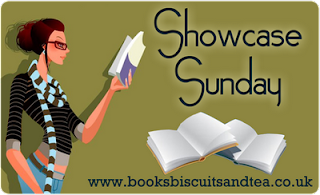 Blog Tour for Pretty Sacrifices (The Legend of Glory #2) by Devin O’Branagan; Review. In the post-apocalyptic world following a pandemic, dark angels arrive in Glory Templeton’s small hometown to claim the eternal souls of her loved ones. Targeted by evil because of her heroism during the great plague, Glory fights back with the help of gutsy young witch Kaia, inexperienced guardian angel Sasha, and her intrepid demon-fighting dog Hallelujah. Complicating everything, a rift in time reunites Glory with an old flame and forces her to pay a huge price for love. A thrilling tale of courage, faith, and fighting the good fight. 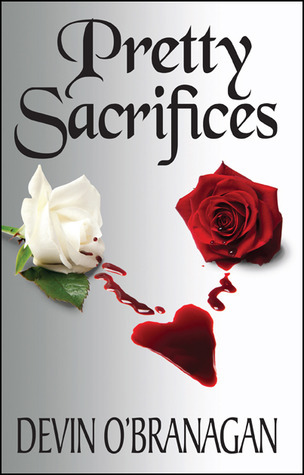 Pretty Sacrifices is the sequel to the bestselling urban fantasy, Glory, which was nominated by the American Library Association for their 2011 Best Paperbacks for Young Adults List. Genesis, the third novel in The Legend of Glory trilogy, is forthcoming. The Review: The plot thickens in the second instalment of The Legend of Glory as it’s revealed that Scorpio pharmaceuticals was only the time of the ice burg in the big plan, detailed in the Lodestones to de-populate the world and if Glory and the gang thought they had saved the world from the Pan Plague they haven’t seen nothing yet, as evil once again rears its ugly head. There will indeed be sacrifices made, both good and bad as Glory tries to thwart the growing power of a New World Order and as she plays them at their own game, she gets a few surprises along the way. I really liked this second book, it started of where you thought everything was coming back to normal; well as normal as losing 1 billion people to a plague can be, then BAM! back into the thick of things with two of my favourite characters leading the way. Glory again, such an awesome character, good through and through and still trying to ‘save’ everyone. It was nice to see her get a hint of happiness before things went pear-shaped but she lived up to the challenge as always. She is put through equal amounts of turmoil again with more personal issues at stake this time. Kaia – what a character! I love her as much as Glory and maybe a little more in this. She was definitely a favourite in book 1 but my heart broke for her in this, this was her time to shine and boy did she. I don’t really want to say too much about that because she was the centre of a lot of the storyline and emotions. We get a bit of Dominic too (I’m team Nicky) and a lot of the previous books cast are back as Warriors of Light! I must give a special mention to Belle Starr – she is soooo adorable and how anyone could resist that is beyond me, she’s special – mark my words. The storyline is an excellent progression, I liked the way we had two points of view that were going down different paths but connected to bring everyone together, it was great- so we had Glory & Dominic in her hometown, protecting the people from an immediate threat and we get Kaia & Evan at Moonstone trying to deal with a premonition that has far reaching consequences for at least one person. Then their paths end up crossing for both stories showdown, which I loved. The title was very apt also but some sacrifices weren’t so pretty and there were a few of them. I feel that if one of the main characters has to go through some ordeal then they all seem to have their version of it that they have to go through too. There was a part where I didn’t totally get what went on but I’m letting it fly because it will probably be explained later. As I said earlier, it elaborates on the ‘commandments’ from the monument that played a part in the first book. We touch on ‘The New World Order’ which is really interesting and quite factual and scary because this is actually real people! And I love the way it has been weaved into this series along with the paranormal, it makes me want to run out and do research (in fact, a friend of mine is into this in a big way – so I’d probably just ask him) but that is still adding an extra element to the book because it could actually happen and I like that the threat isn’t all one sided like a paranormal threat or a human threat – it’s both! So the group can’t really side with one or the other and it makes no difference from what side they come – they fight for what is the right thing to do, for the human race, for the earth, for family and for love – and I personally love its message! The ending sort of blew me away and I wish I had the last book now, I’m very curious to see where this is all heading and how it comes together. From the ending though, it promises to be epic! 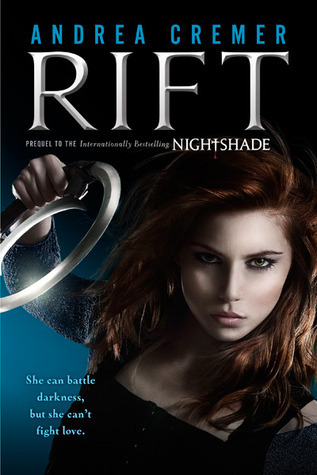 The Review: I’ve followed Andrea Cremer’s Nightshade Series from the beginning, so when I first hear about Rift – the prequel to Nightshade, I knew I wanted to read it. I adore everything about Andrea’s work, her style of writing, her unique storyline’s and I love that she’s not afraid to take risks with her stories too. And if I sum Rift up into one word it would be, FANTASTIC! Ember Morrows is a sixteen-year old girl who is suffocated by her father’s rules to be married off at a young age. So when she’s called to fulfil a family obligation to join the Conatus Guard, she is more than thrilled to be away from her father’s strict rules. Once there, Ember is trained as a guard to help fight the evil in the world, but when one of her leaders starts dabbling in dark magic Ember must choose which side she’s on. While diving into Rift I have to admit, I knew it would be good but I didn’t know what to expect. With story pre-dating Nightshade, it’s based in the early fifteenth century so it did take a few chapters to get into this new world and the style of writing, but once I got past them first few chapters it became a great read. I really enjoyed that this was a historical paranormal read but there are only a hint of paranormal through-out the book, mainly because to start with, the story focuses on Ember’s journey and her discovery of this new world. It was quite slow paced but that didn't stop me from enjoying it. The real excitement comes near the end because we start it see the paranormal aspect in full force and with the return of Bosque Mar; well you can only imagine what he’s been getting up too. The characters of completely different to those who are in Nightshade and as much as I loved them characters, it was nice for Andrea to create a whole new set of characters that were just as unique and made them stand out on their own. Ember is a strong, determined and a courageous young girl, she wants to throw herself into the firing line and help stop the evil of the world. She isn’t what her father wants her to be and her boyish qualities are frown upon by him. But with the guard, she can be who she wants to be and take charge of her future. Barrow is the strong silence type, broody and always tries to do right, he helps Ember become the guard she needs to be. He fights his attraction to her for many reasons but love over rules all, and he’s soon falling for her. I loved that he was willing to protect Ember from the start, even though she is capable of looking after herself, he still wants to be there for her. Their relationship isn’t a key role in this book, it’s not until the end that we see it so I’m hoping with Rise; book two, we will see more of it. The secondary characters were also great. There are many laughs with them which brings the humour into the story. Some of them like Sorcha and Lucasz quick became my favourites. 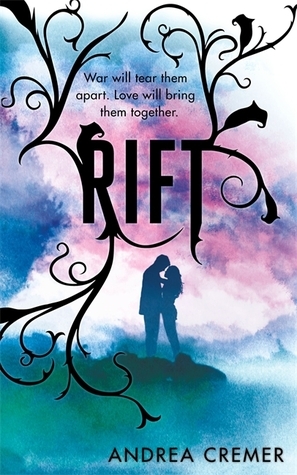 Andrea Cremer has done a fantastic job creating a whole new setting for Rift and not only that but writing this book really shows the talent’s she has as an author. Rift is not a book without detail and Andrea really captures the setting well. I can't wait to see what she with next. A big thank you to Atom for giving me the opportunity to review this book. In this stunning sequel to the highly acclaimed "Daughter of Smoke and Bone," Karou must come to terms with who and what she is, and how far she'll go to avenge her people. 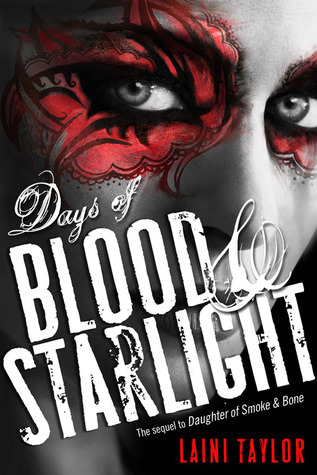 Filled with heartbreak and beauty, mysteries and secrets, new characters and old favorites, Days of Blood and Starlight brings the richness, colour and intensity of the first book to a brand new canvas. Jess's Thoughts: OMG! I cannot WAIT for this book. I absolutely LOVED the first, it completely blew me away and surprised me so much at every turn. I am so excited about this book. And I am in LOVE with this cover, it's absolutely stunning and I really can't wait to have it on my shelf. Eeeeeeeeeeeep! Donna's thoughts: Wow, I need this book for the cover alone. It's stunning. I've heard so many great things about this book and it's not even released until November. I seriously need to put this on my Christmas wishlist. I just know it will be epic! Jane thought she was living a fairy tale. Now she has to contend with burgeoning magical powers and a soon-to-be mother-in-law who is a witch ... literally Welcome to New York City, where the socialites are witches. 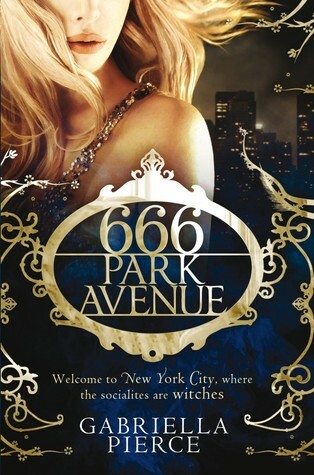 The Review: 666 Park Avenue is the start of a new series that could be compared to an adult Gossip Girl with less focus on the gossip and more on Witches. These aren’t your run of the mill tie-dye, earth loving, sisterly coven witches who would rather live in the woods somewhere and commune with the goddess, no – these women are power witches, dressed in designer clothes, an abundance of money at their fingertips and their finger on the New York pulse by way of controlling the socialite scene. These women are feared and revered throughout the scene and woe betide anyone who gets in their way because when you have a socialite with a superiority complex and you give them unrivalled powers with the chance to obtain more – you’ve created a monster who will stop at nothing, and I mean nothing to get what she wants. And they’ve set their sights on Jane Boyle who knows nothing about her powers until the death of her grandmother- who happened to be her last remaining relative. When Jane moves to New York following that and the whirlwind proposal from NYC’s most eligible bachelor- Malcolm Doran – she thinks her fairy tale has come true but she soon discovers there are no closets big enough to hold this particular ‘esteemed’ families skeletons and as she begins to discover them, she begins to fear for her safety and of those she has come to know. Can she save herself from the strongest witch of all? – Malcolm’s mother! I really enjoyed this book, at first I thought it wasn’t my thing – I'm not a fan of women who deem the way others perceive them as paramount importance to their lives, where your thoughts are meaningless because you're expected to act in a certain way, maybe I'm stereo typing 'socialites' but let’s face it the ones we see in the media aren't my kind of role models and not something I would aspire to be therefore not a topic I really want to read about plus it mentions designers & labels a lot – again, not my thing (I’m a jeans & t-shirt kinda girl) I didn’t want to spend a time reading about someone shopping in expensive stores etc. but I got why it was done because she is thrust into this world and a lot of value is placed on appearance so it goes with the territory. When I looked past that and the story got going then the witchy part got introduced, that’s when I got into it, surprising myself with how much I actually did like it. There are a lot of characters to get to know in this and I liked the majority, Jane is nice – I liked her a whole lot more once she wised up to a few things and we see her get some backbone. I don’t want to say a great deal about most of them for fear of spoiling the story, let’s just say that not everyone is who they appear to be – that will be a major thread really because as we begin to get to know people we also find out who can be trusted and who can’t. The storyline is interesting but because its book one, we only really touch on some of the things happening, I think the focus on this is that Jane discovers she has powers and someone else wants them – but that’s not all she wants and it’s a shocker believe me! There are a few complications thrown in because when Jane first arrives she has nothing to lose but then she gains a couple of allies and now they are targets so it changes some of her decisions. There are a lot of twists and turns, you think it’s going one way and it goes another plus as I said there are a LOT of skeletons in the Doran’s closet – we get a couple – but it leaves you with the feeling that there is a whole lot more and Jane is likely to blow the lid off the lot. I really liked the little bit of history we got about the ‘families’ & we also get the hint of a love triangle that I’m not too fussed about – I’m not a fan of infidelity and it could very well go there which would spoil it for me. 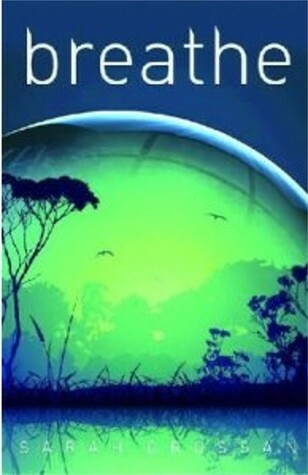 The pacing was good and everything was kept moving swiftly, throwing discoveries out along the way and I liked that it wasn’t just a big reveal at the end and as I said plenty of twists and turns and a great start to what promises to be a great series and I will be definitely looking out for book two. Now, I was made aware just before I read this that it has been made into a TV series soon to be aired and that is how I visualised it when reading and I have to say it has all of the elements that would make me watch it, there are pivotal moments where you can see an episode ending and the drama of the reveals, so if you want a heads up on it – get reading this and be ahead of the game. I’m curious to see if they do it justice. A big thanks to Constable & Robinson for giving the opportunity to review this book. 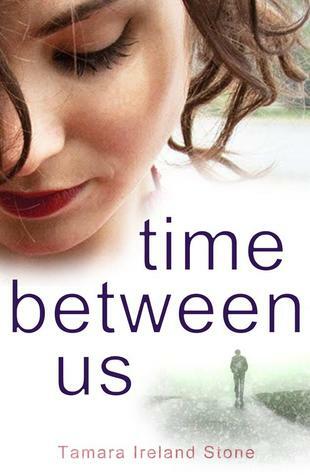 Welcome to Book Passion for Life's 51st US vs UK book cover battle. Jess says: I like both of these but I think I have to go with the UK just because the cover theme seems to have stuck with the UK covers for her Nightshade series. So UK for me. Donna says: I love both of these covers and I love the US one because we can see Ember with her weapon but I love the UK one for the all the colour. The US seem to have gone more with the theme of Ember and her strength, were as the UK have played on the love story. I prefer the US cover for the meaning behind it but I only know this because I've read the book. But if I hadn't of read the book, I'd pick the UK because of how eye catching it is, so UK for me. Melanie says: Oooh I like both of these as well, but I think I prefer the US a lot more, it just seems to grab me a lot more and I know I'd pick it up from the shelf. So US for me. Donna says: The covers are quite similar, they both picture the girl and then man in the background. But when I pick a book, I usually go with the one that grabs my attention and the US one grabs it more. So US for me. Hey guys, hope you've had a fab week. It's just me (Donna) this week as Jess is on holiday still. I've read a ton this week too because I've been off sick from work for a review days, but I'm all better now. Thank you to Puffin, Double Day and Jasprit. 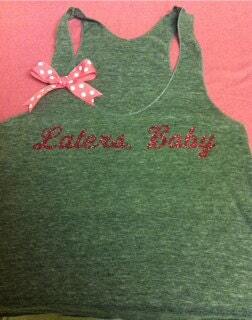 So are you a fan of Fifty Shades series? 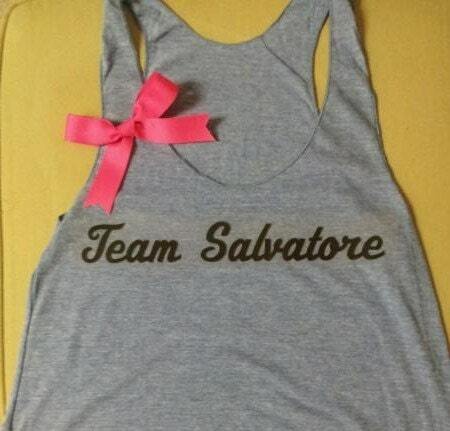 Or are you fan of The Vampire Diaries? 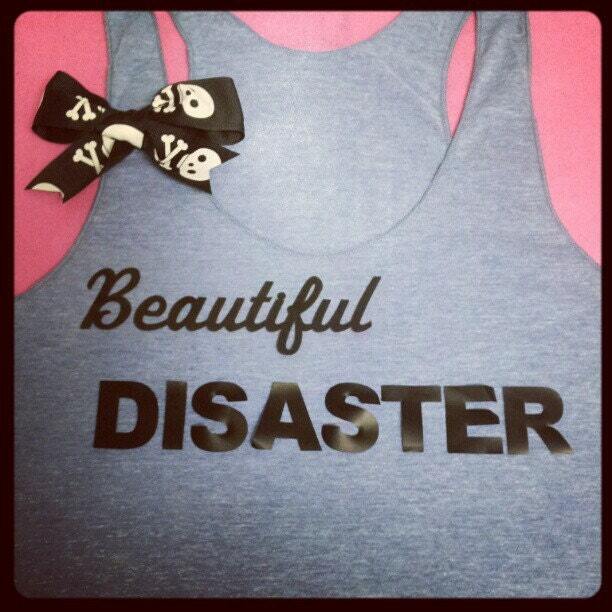 Or even Beautiful Disaster? If so then you're in the right place. Here are some of her workout shirts below. But click on the pictures and you can see more of the book related shirts. Cool right? Well Vanessa is giving Book Passion for Life readers a 10% discount off any bo0k related shirt with coupon code BookPassion10 at check out. BUT, not only that, she's also giving ONE lucky reader the chance to win one of her book related shirts right here! Please remember we will need the winners size, address, and what shirt they would like. And yes it's international. 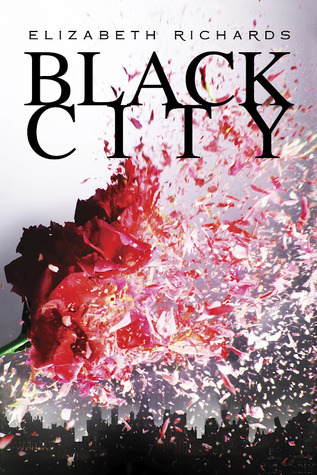 But when Noah Hutchins, the smoking hot, girl-using loner in the black leather jacket, explodes into her life with his tough attitude and surprising understanding, Echo’s world shifts in ways she could never have imagined. They should have nothing in common. And with the secrets they both keep, being together is pretty much impossible. The Review: This was another book I had NEVER heard of until I went to a bloggers party hosted by Mira Ink way back in March. The lovely Mira had given me a goody bag and guess what was included, YES, Pushing the Limits and I literally started it within a few days and devoured it within less than 24 hours - yes it is that good! Echo Emerson's life has changed since she was hanging around with the popular crowd only a few months ago. After an event that changed her life and left her with permanent scars to her arms, she's now known as a freak and everyone wants to know what happened. Echo has a hard time opening up to people and even going to therapy doesn't help that much. That is until Noah Hutchins enters her life. Noah is known as the bad guy at school and Echo will do anything to keep away from him, but for some reason she finds he's the only person that can really understand her. 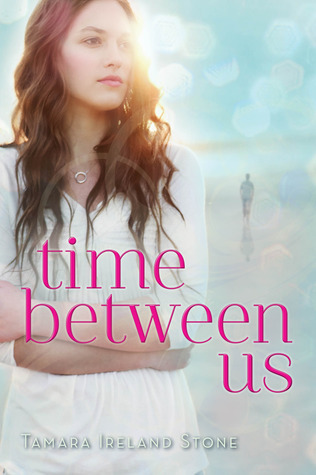 As they embark on a friendship, both Echo and Noah are fast to fight their attraction for one another but sparks soon fly. 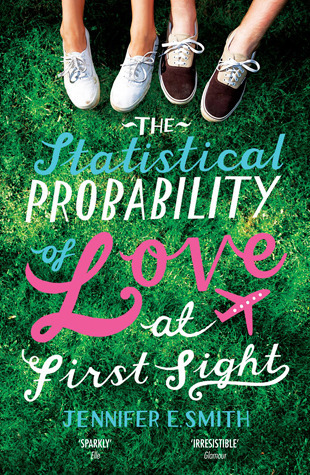 Katie McGarry has created a phenomenal debut novel with Pushing the Limits and I loved every single minute of it. It’s full of raw emotions and heart-breaking scenes – ones that are full of angst and sadness, but beneath all that there’s hope. Hope that two troubled characters can come together against all the odds that their lives throw at them. Their complete opposites but find trust in each another enough to open up and even though their relationship isn’t perfect, it’s still beautiful and very solid. Pushing the Limits is one of them books that you could read all day long and wish it never had to end. It has a little bit of everything for every reader, and if you love a story that’s heart-wrenching, real and beautifully written, then I urge you to read Pushing the Limits – because you won’t be disappointed! A: Echo went through several name changes as I wrote the manuscript. For a while, she had a very normal name, but it always felt off. It wasn’t until I looked at Echo from her mother’s point of view that I found her name. Echo’s mother loved Greek mythology so it made perfect sense that she would name her children after the myths. I read several Greek myths and the moment I found Echo’s, I fell in love. Echo, to me, was the girl who lost her voice. Thankfully, she finds it by the end. A: Yes. And the more people have read this story, the more this question comes up. Grace has struck a stronger nerve in people than I ever would have imagined. It seems most of us have unfortunately experienced a relationship where a person wants to “like” you and wants “be your friend,” but only if it serves their needs. In case anyone is wondering, that isn’t friendship. A: Yes. The relationship between Noah, Isaiah and Beth. Beyond my parents and sister, my nearest family members were over fourteen hours away. My friends became my family. The people I grew up with were more than people I watched movies with or talked to occasionally on the phone. These were people with whom I shared life’s most devastating moments, but also my hardest laughs. These were people who I would have willingly died for and I know they would have done the same for me. They shared my triumphs with smiles on their faces and congratulatory hugs. They held me when I cried and offered to beat up whoever hurt my feelings. These were also the same people who were more than happy to get in my face if they thought I was making a wrong decision. A: Sort of. 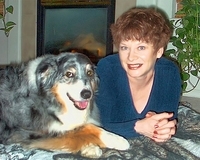 I was bitten by a dog when I was in second grade and repressed the memory. It felt very strange to have no memory of an incident that other people knew about. It was even strang- er to have injuries and not have an inkling where they came from. In college, I finally remembered the incident when a dog lunged at me. I relived the horrible event and sort of “woke up” a few minutes later to find myself surrounded by people I loved. Even though I “remember” the incident, I still don’t remember the whole thing. I only see still frames in my mind and there is no blood in any of the memories. 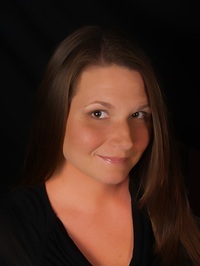 Author Bio: KATIE MCGARRY was a teenager during the age of grunge and boy bands and remembers those years as the best and worst of her life. She is a lover of music, happy endings, and reality television, and is a secret University of Kentucky basketball fan.